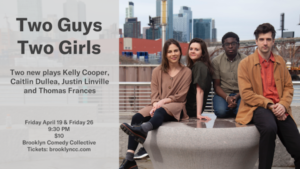 The sketch group WOMEN has once again hit the comedy nail on the head. Today’s lesson is that it doesn’t always pay to put your big fat love matzo ball out there. Dave Ross, bring on that “Charm”! Mentions: Don’t forget to follow @womencomedy.